I kick off my sandals and put my winter pale toes in the silky white and warm sand, and it feels like heaven! I close my eyes, and all I can hear are the waves hitting the beach. After a long, dark and snowful winter back in Norway, arriving at Bentota beach was just what we needed and had longed for all autumn and winter. It was a dream come through! 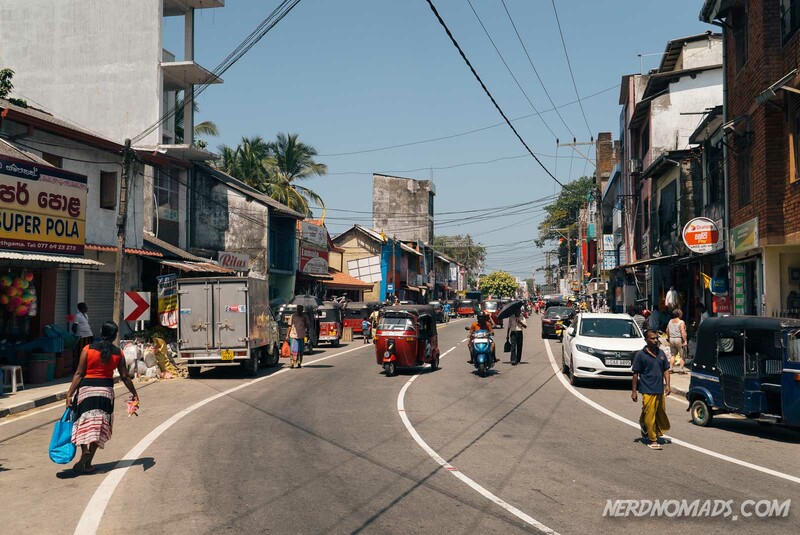 Espen and I have earlier been to Mirissa Beach and Tangalle Beach, and love both places, but this time we wanted to start our round trip a little closer to Colombo (a 2-hour drive). Our choice fell on Bentota, where none of us had been before. We had no expectations, but what a surprise! I would say that Bentota has some of the best and most beautiful beaches in the whole of Sri Lanka. 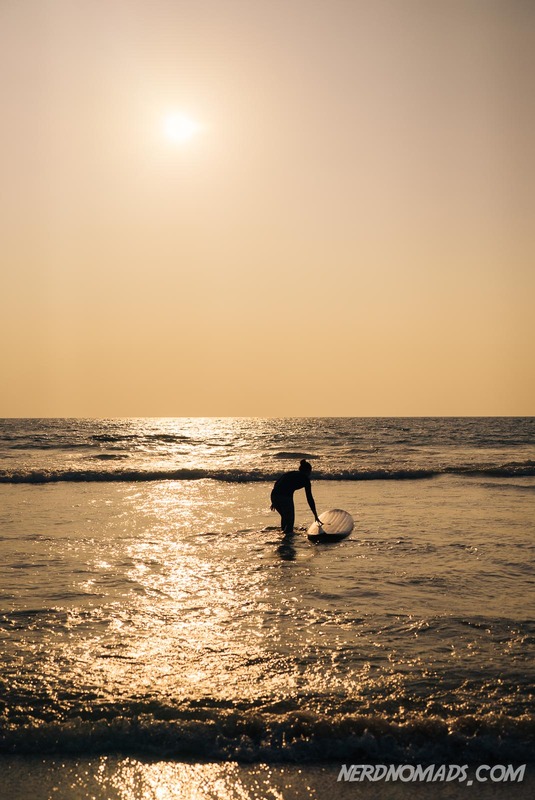 Located by the Bentota Ganga lagoon, the Bentota area has several big and posh hotels as well as some excellent boutique hotels. The main town is Aluthgama, which is more like a small and fairly chaotic village on the main road that goes along the southwest coast of Sri Lanka. 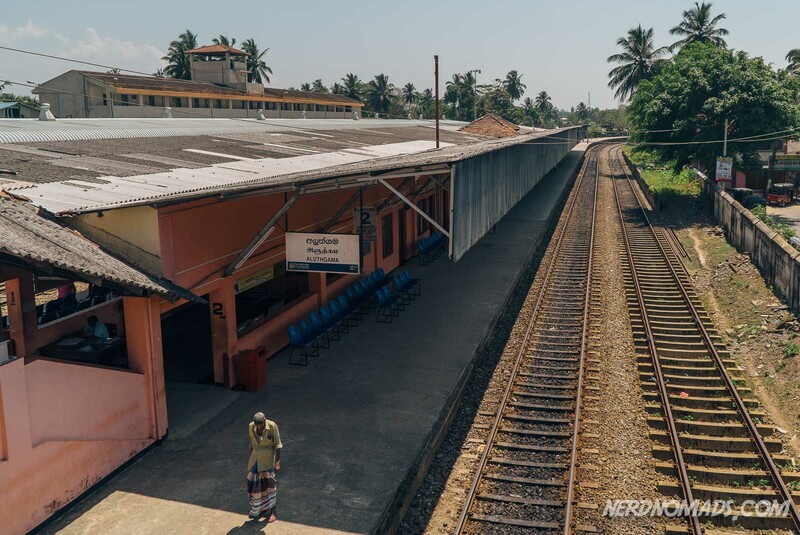 Aluthgama also has a train station. 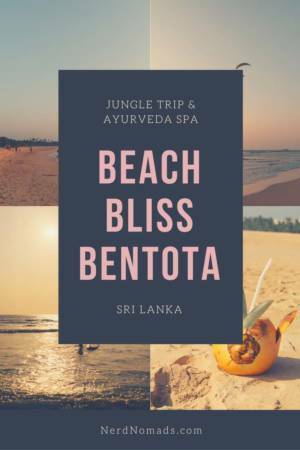 Many of the nice hotels in the Bentota area have well known Ayurveda centers, which is a traditional Sri Lankan medicine in the form of spas with herbal and spice treatment and massage. There are several lovely beaches in the Bentota area, like the Moragalla Beach (just where the Bentota Ganga river meets the ocean) and Ventura Beach. They are more informally referred to simply as Bentota Beach, and together they make a very long stretch of fine white sand. 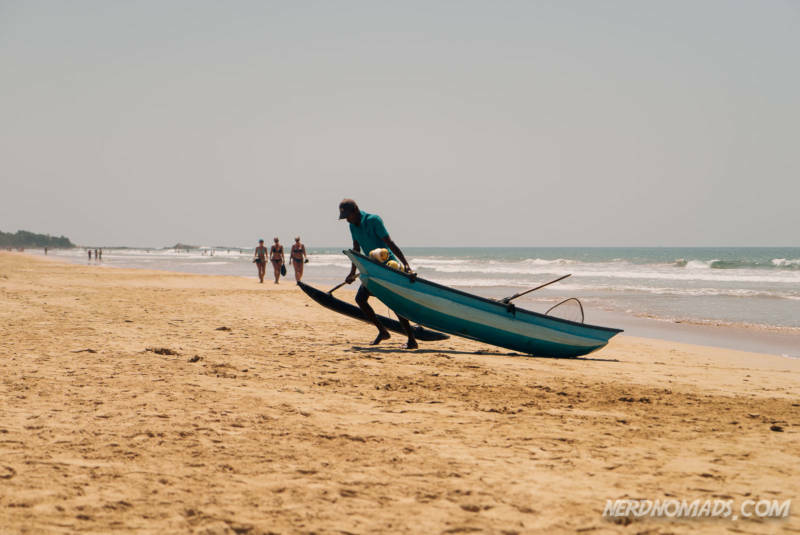 The sandy strip of Bentota Beach that runs parallel to Bentota Lagoon (or Bentota Ganga) is nicknamed Paradise Island as it is like a long narrow peninsula out in the ocean. It is a well-deserved name in my opinion. Although Bentota Beach is stunning and has several big and posh hotels, it has strangely few people; it was almost empty the three days we spent there. But that was just fine by us. 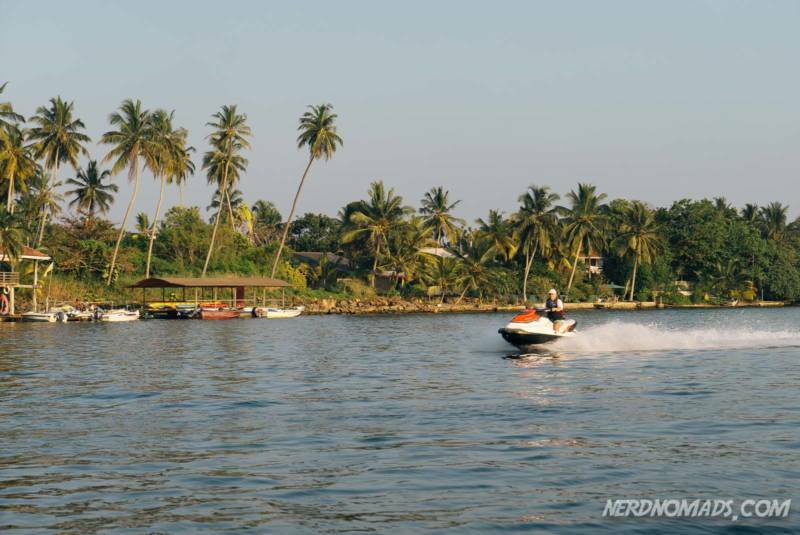 The Bentota lagoon and beach is the perfect place for enjoying water sports. You can hire equipment or join a course or take a trip deep-sea fishing, snorkeling, canoeing, diving, windsurfing, waterskiing, or jet-skiing. There are several local tour operators located right by the beach, like the Sunshine Water Sports Center and Diyakawa Water Sports. 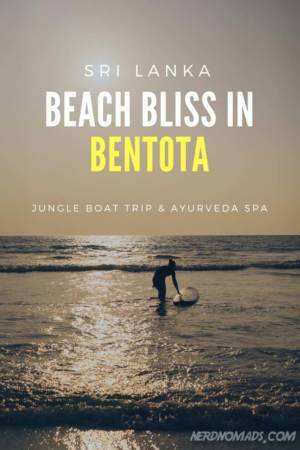 One of the most popular activities in Bentota, beside beach bumming and water sports, is going on a boat trip on the river Bentota Ganga. We did that one late afternoon when the sun was getting weaker, and we had a very nice and peaceful river safari lasting for about three hours. We hired a boat and driver from the hotel we stayed at, which took us upstream of the river through the jungle. 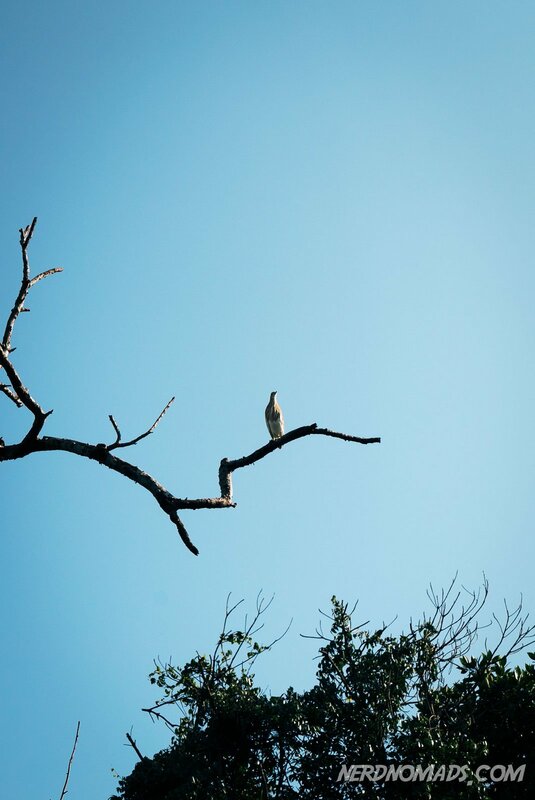 We saw lots of beautiful and colorful birds and eagles, as well as a crocodile (!) and snakes. We enjoyed it, especially my dad who loves birds. Doesn`t this look like something out of the movie Apocalypse Now?! Expecting to meet Colonel Kurtz any moment…. 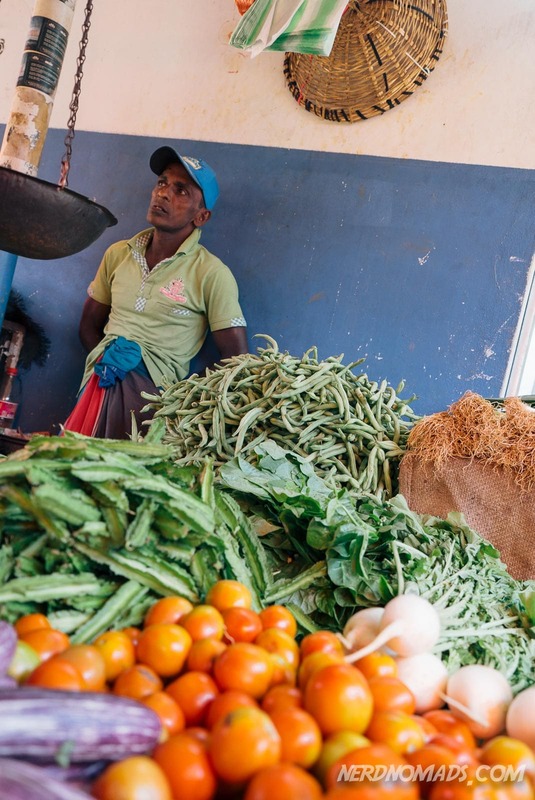 The Monday market in Aluthgama town is the highlight of the week among the locals in the Bentota area. People from all over the southwest coast, especially women, come here to shop groceries, vegetables, clothes, and all kinds of nick-nacks for the whole week. 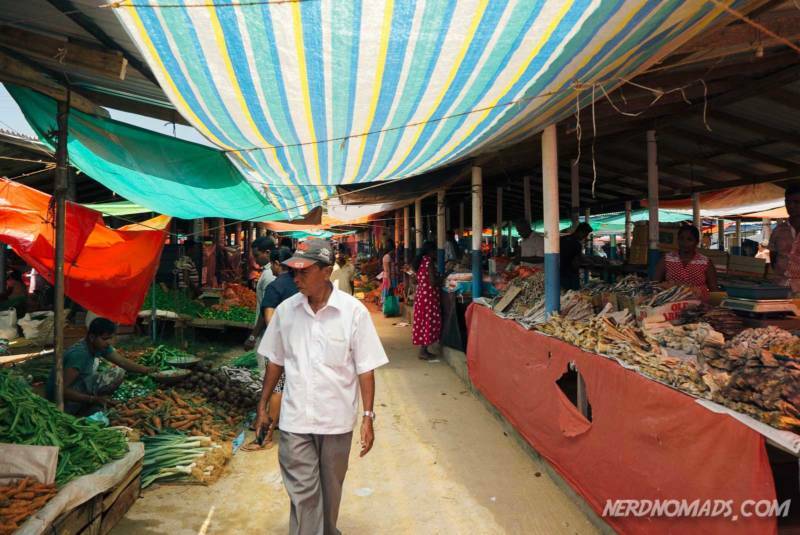 Luckily we were in Bentota on a Monday and could visit this bustling market. 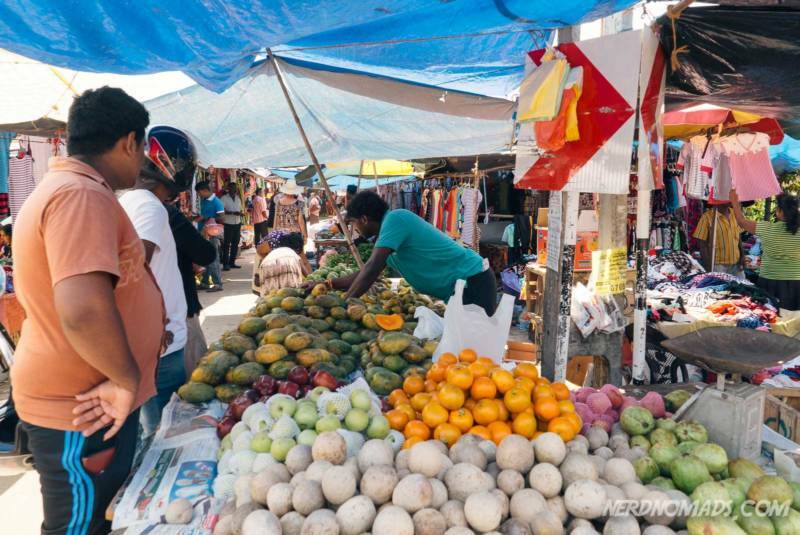 We bought lots of deliciously fresh vegetables and exotic fruits, as well as some gifts to bring back home to friends and family. 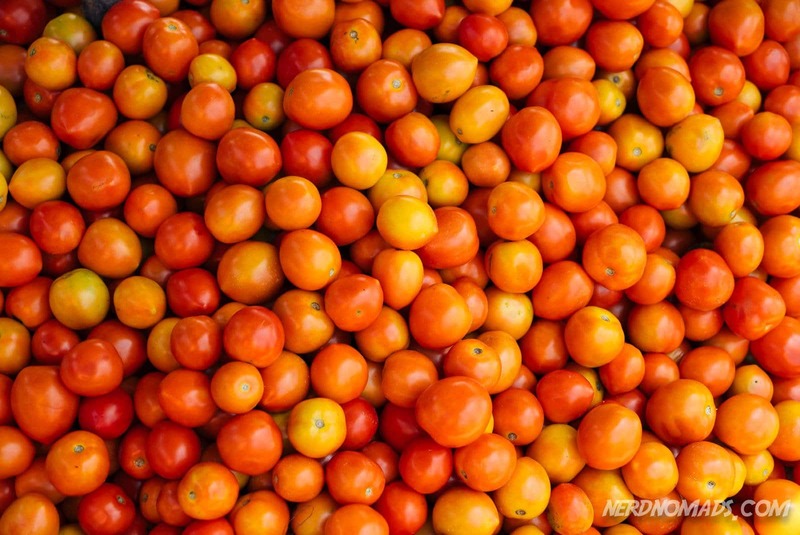 As you might know from my “Fruity Friday” series on this blog, I simply L-O-V-E ♥ fruits! 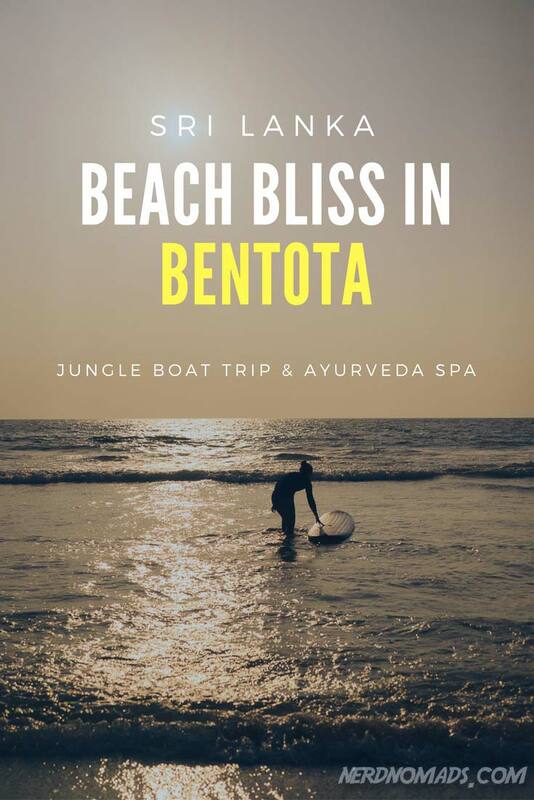 Bentota is also famous for the traditional Sri Lankan spa and health treatment Ayurveda which is made out of local herbal and spices. Many of the big hotels have well respected Ayurveda centers. Ayurveda is not only oily massage and spa but also plant-based medicine treatment for injuries of all kinds. 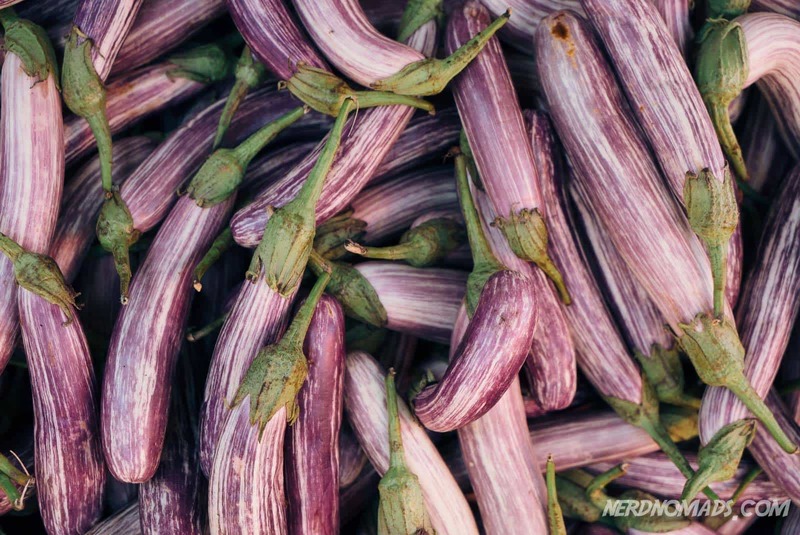 The medicine is derived from leaves, fruits, roots, bark, and seeds, like cinnamon and cardamom. 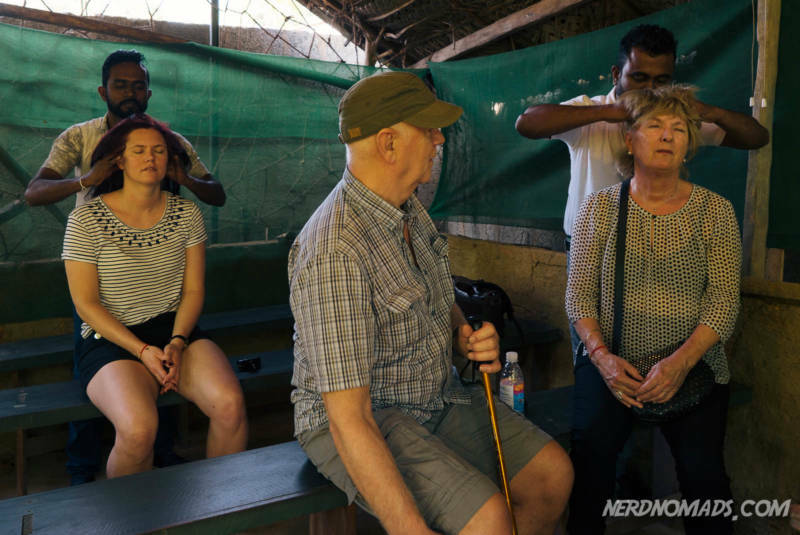 Just outside of Bentota (on our way from Colombo), we visited one of the Ayurveda gardens that are located in this area. 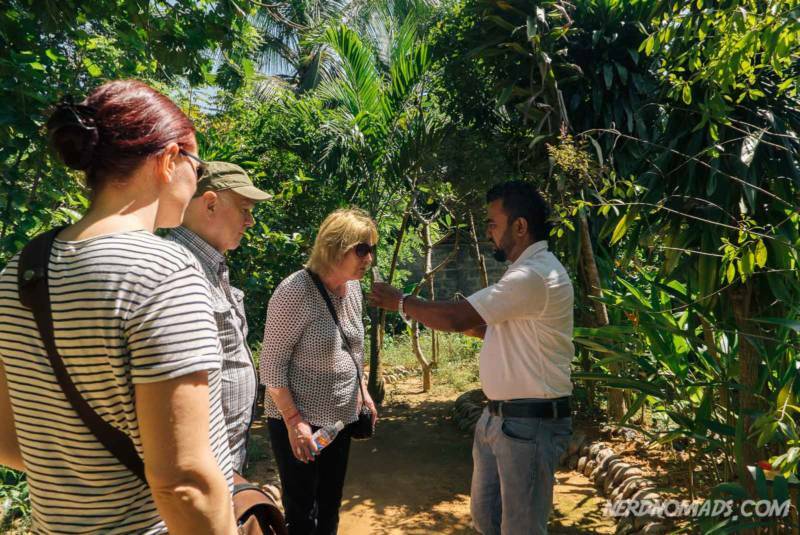 The head gardener and trained Ayurvedic doctor showed us around the green and lush garden and explained all about the different herbs and spices that they grow, as well as what they are used for in Ayurveda medicine and treatment. The whole guided tour of the garden was free; we did not pay any entrance tickets. BUT they asked for tips, and we felt obligated to give the guides, and massage therapists some money so basically it was not free. We enjoyed our four days in Bentota. It was a bliss to hit the beautiful and peaceful beach after two hectic days of sightseeing in the chaotic capital Colombo. In my opinion, Bentota Beach is one the best beaches in Sri Lanka. Hope to be back in Bentota soon! Bentota has accommodation options for everyone, from big package-holiday resorts to small beautiful and unique boutique hotels and guesthouses. We stayed at the Waterside Bentota and had two upstairs rooms. Waterside Bentota Hotel only has 6 rooms, and the service and hospitality of the staff are excellent. The rooms are big and comfortable, although they could need a little upgrade. 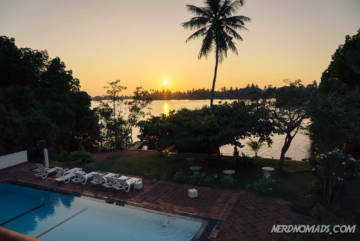 All rooms have a big private bathroom, and the best of all, a rather big balcony with awesome view over Bentota Ganga river and the beautiful hotel garden. The swimming pool is very nice and big. We stayed here for four nights, and loved it! My mom and dad actually love it so much that they came back and stayed a whole week at the end of our trip. The hotel is owned by Susan, a British woman who is in her 80s. She built the hotel after the Tsunami in 2004 to give job for the locals. All the staff, as well as the manager, are Sri Lankan and they all speak perfect English. The food is amazing. We ordered the Sri Lankan rice and curry one day, it is one of the best we have ever had! The hotel has a boat and the boatman will ship you to the beach (only 5-10 min), market (across the river, 5 min) or take you up the river for a river boat trip if you want. This is a beautiful modern resort right by the sea with a stunning private beach. The garden is amazing and the swimming pool is huge. Their restaurant, Palms Restaurant, have great food which is served as a buffet with all kinds of options. I don`t think you can find a better hotel in this area. Beautifully located by the sea and Bentota Beach, each of the suites has a unique and different interior design. The garden and swimming pool is gorgeous, and the bar makes delicious home-made ginger beer and cocktails. Fast and free Wifi is an extra plus. Some of the rooms even have outdoor bathrooms, so cool! We stayed at AVANI Riverside hotel in Bangkok and went to check out this AVANI hotel in Bentota. It is just as nice as the one in Bangkok, modern, fresh, with big rooms. The location is perfect, right by Bentota Beach with a lovely garden and swimming pool. They also have a gym and a spa center. 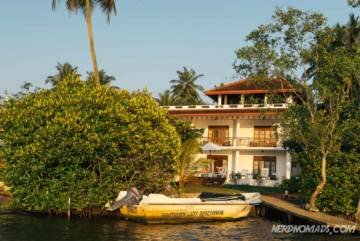 We walked past this hotel every day as it perfectly located right by Bentota Beach, with the lagoon on the other side. It is the biggest hotel along the beach, with modern and big family rooms. They actually have two swimming pools located in their big green and lush garden. Their spa center and gym look awesome. The food is delicious, and they serve both Sri Lankan and western type of food, as well as BBQ. They have theme nights every night with certain kind of food like street food, Indian, Mexican, Italian and so on. The hotel is popular among families with children, as they have a kids club and babysitting service. Bentota sure is a beautiful place! Love the beach! Thanks for commenting, Chris and Laura! 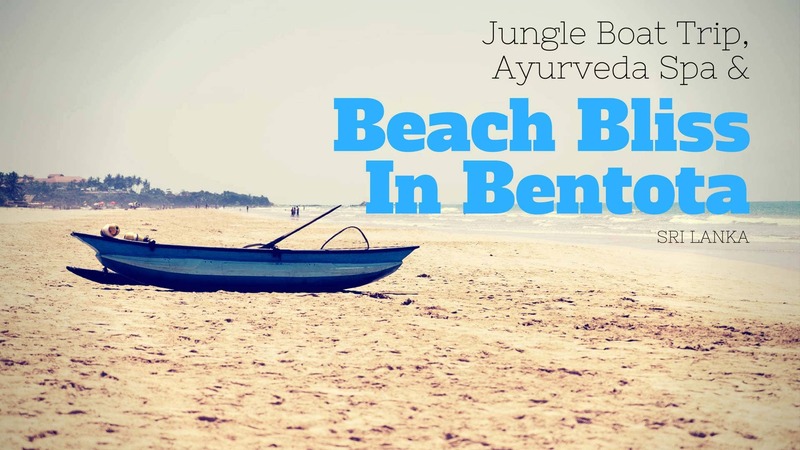 Thank you very much for the publishing blog about Bentota. Came and visit our country again. So glad to hear that you like our article about Bentota! We love Sri Lanka, and will definitely come back over and over again. You are lucky that live in such a beautiful country. 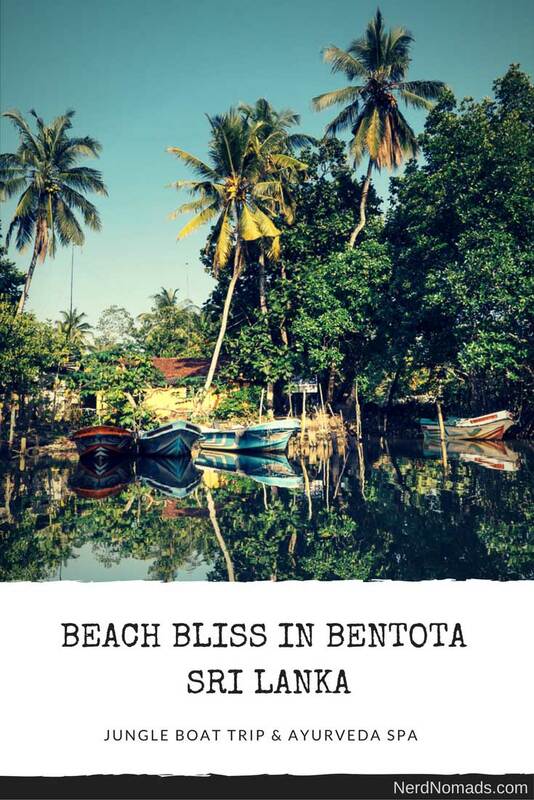 The Bentota beach seems outstanding, Maria! Do you have any tips about a cheaper accommodation there? Sorry, can`t help you with tips about cheaper accommodation. There are mostly mid- and top-range hotels and guesthouses in this area. But you might be able to find some home-stays. Have a great trip to Sri Lanka and enjoy Bentota! Unfortunately, I don`t remember what this spice garden is called, so sorry about that! It is on the left side of the road from Colombo to Bentota. 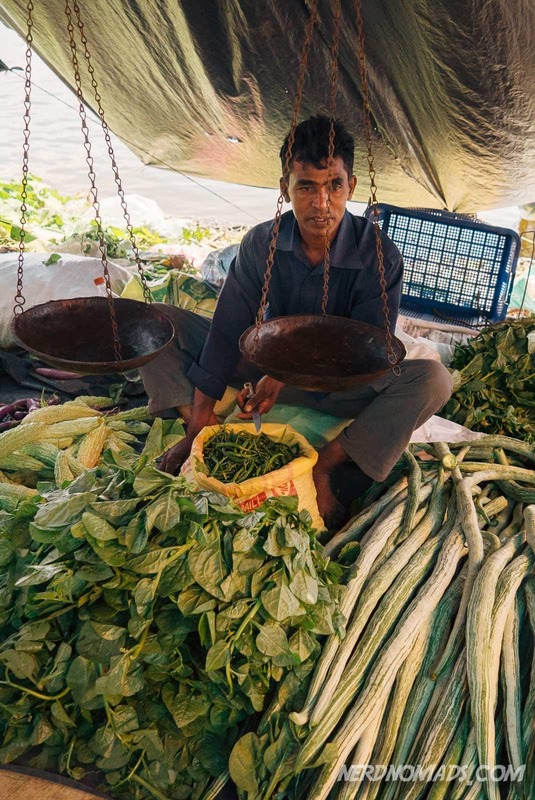 There are several nice spice gardens in this area, just ask your driver to stop at one. Have a great trip to Sri Lanka and enjoy the spice gardens! Lucky you who are going to Sri Lanka for three weeks! It is a fantastic country with amazing people and beautiful nature! You will have a great time! Have a nice trip to Sri Lanka! very interesting article to read. planning to go srilanka next month.thanks for sharing. Thank you so much! 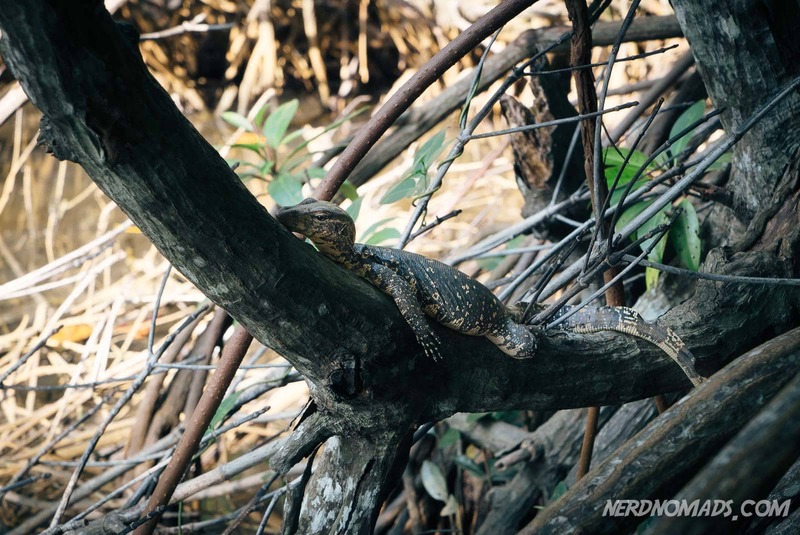 Have a great trip to Sri Lanka next month! Hey Maria, thank you so much for all the information. I was wondering if you give us contacts for the river safari! We booked the river safari in Bentota through the hotel we stayed at, the Waterside Bentota Hotel. 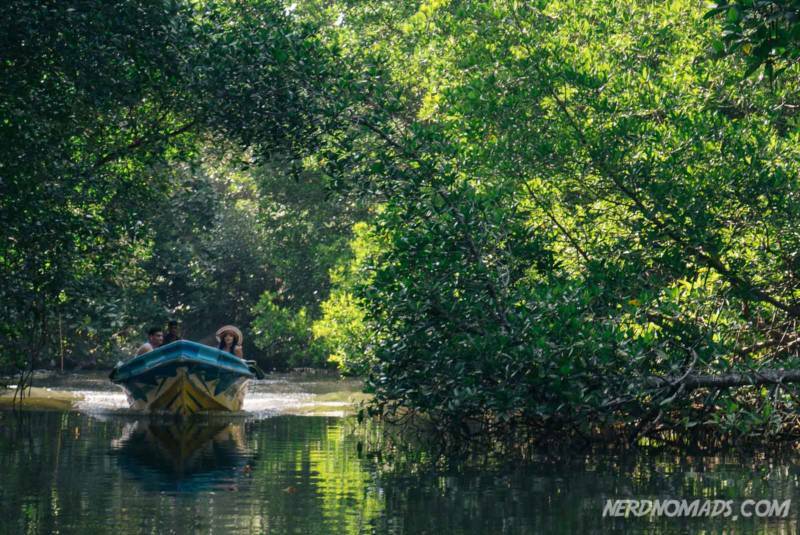 Its easy to book a river safari in Bentota, either at your hotel or at the beach as there are several booking stands at the beach offering river safari trips. 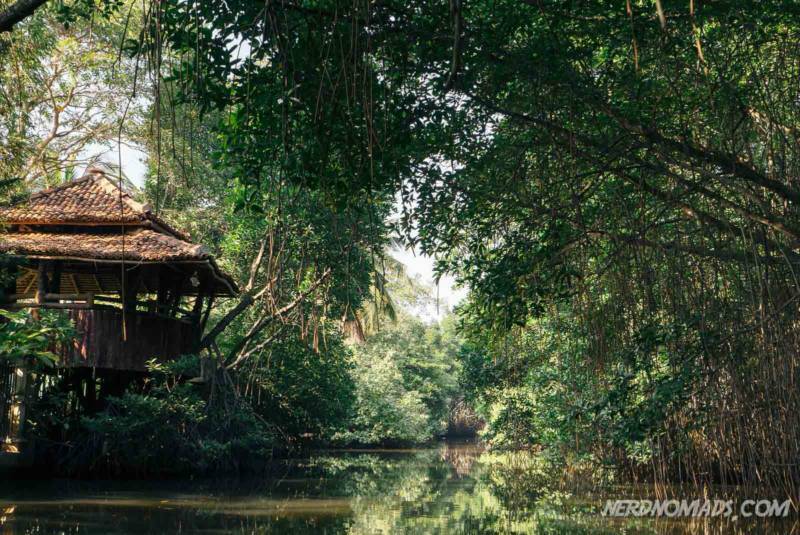 Have a great time in Bentota and enjoy the river safari! Very informative your post! I am between Mirissa and Bentota. I have two kids 3 and 8 years old. 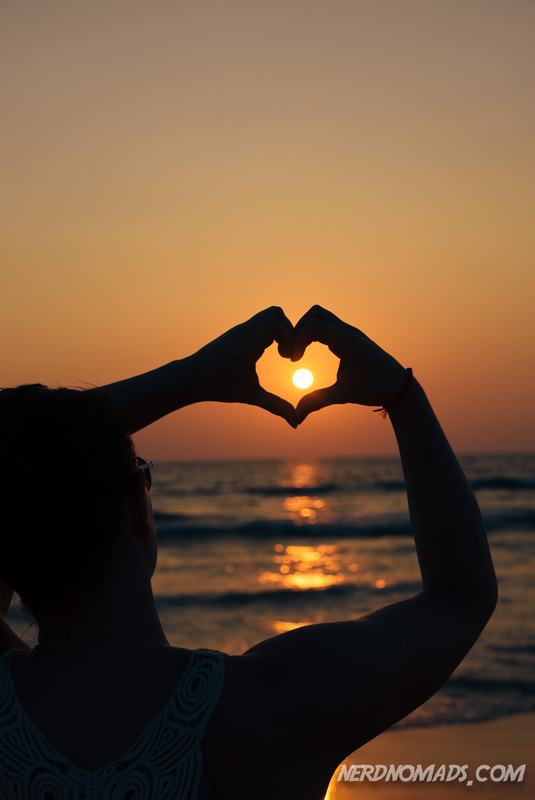 Which beach in your opinion would be more appropriate for families? Thank you so much! 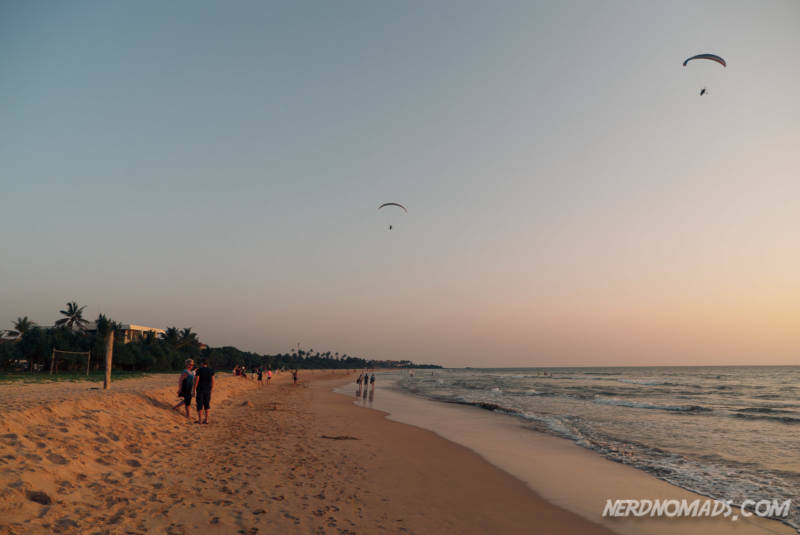 Hmm, I would say that both Mirissa and Bentota is perfect for kids as they both have white soft sandy beaches, shallow water, and the waves are that not big. 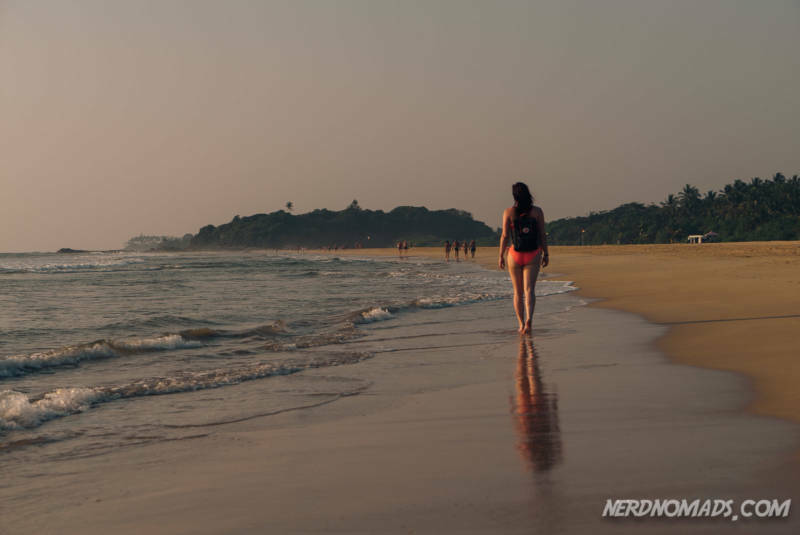 Although Mirissa is a bit busier than Bentota with surfers and cafes/ restaurants on the beach. In the evening and night, the beach at Mirissa turns into a party so if you are staying close to the beach you might find the party music disturbing. But it´s very nice to have fresh seafood dinner at one of the many beach restaurants in Mirissa in the evening. 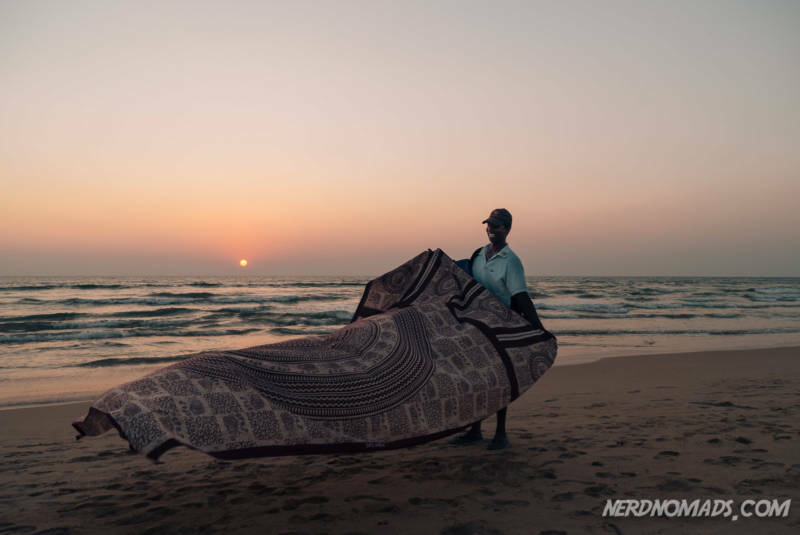 Have a great trip to Sri Lanka and enjoy your beach time! You blog is so helpful for me to plan a 10-day travelling in Lanka soon. Thank you so much to share the experiences and information on line. Just a question about the choose of beach town. I am wondering if you can have some suggestions about best position for snorkeling, because my 12-year daughter love it! Thanks again for your valuable blogs. Thank you so much! So happy to hear that our blog could be of help to you when planning your 10-day trip to Sri Lanka! The best place to go snorkeling and diving in Sri Lanka is Pigeon Island just outside of Nilaveli Beach. But it is on the east coast, just north of Trincomalee, so it is a bit out of the main tourist areas of Sri Lanka and it takes many hours to drive there. I guess you are planning on going to the west coast of Sri Lanka. 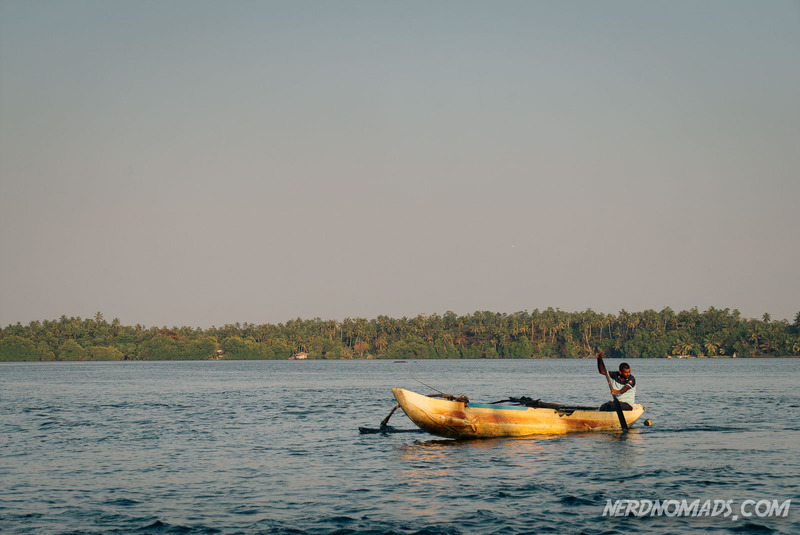 On the west coast, Bentota, Hikkaduwa, Kalpitiya, Unawatuna, and Weligama, is great for snorkeling. Kalpitiya is a bit out of the main tourist area as well, as it is on the north-west coast, north of Colombo. 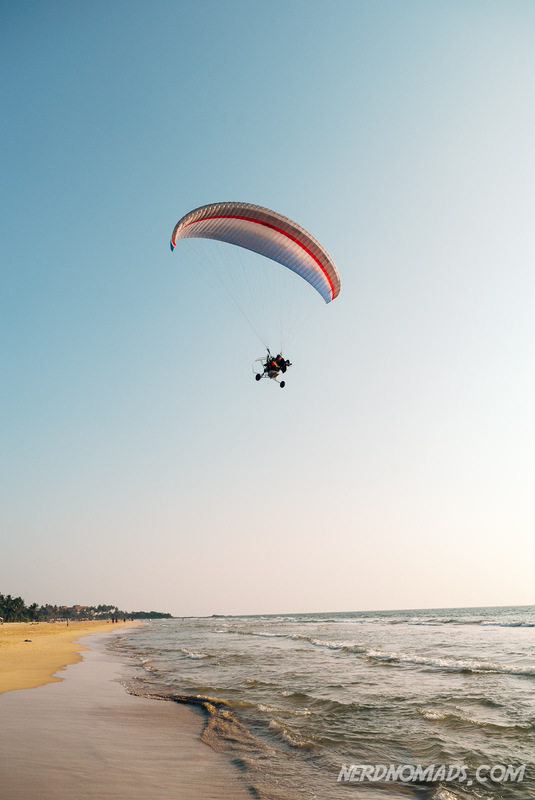 Bentota is an excellent area for water sports in general, where you can go on snorkeling, canoeing, deep-sea fishing, jet-skiing, waterskiing, windsurfing, and take diving courses. 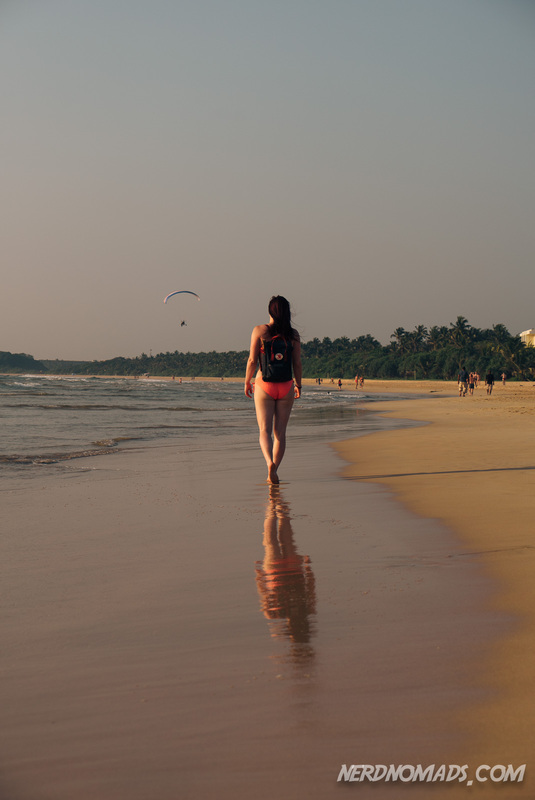 The Bentota beach and area is also quieter and more relaxed than for instance Hikkaduwa and Unawatuna. Unawatuna has no surf waves, but a nice reef a short distance from the west end of the beach, excellent for snorkeling. You can easily rent snorkeling gear. You can also go on diving tours from Unawatuna, both wreck, reef, and cave dives. 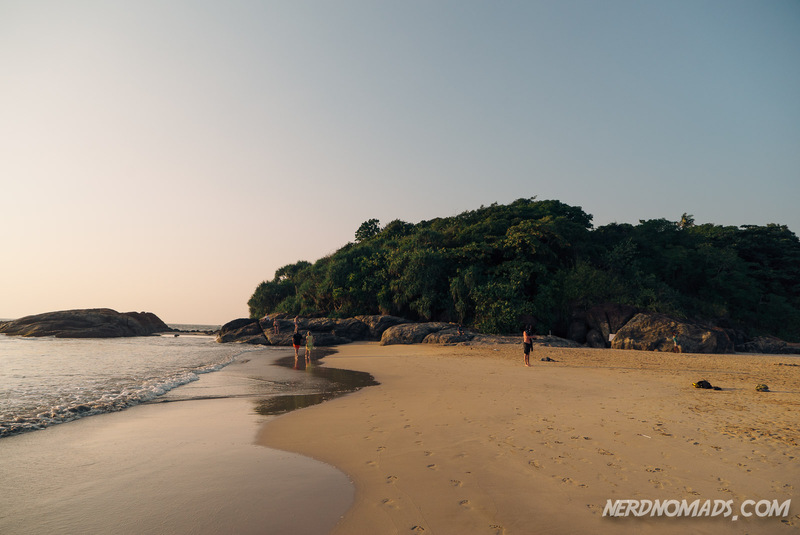 Weligama is also great for snorkeling and diving. You can join snorkeling and dive tours, as well as whale and dolphin diving and snorkeling trips at for instance Weligama Bay Dive Center. Here you can also rent snorkeling gear. 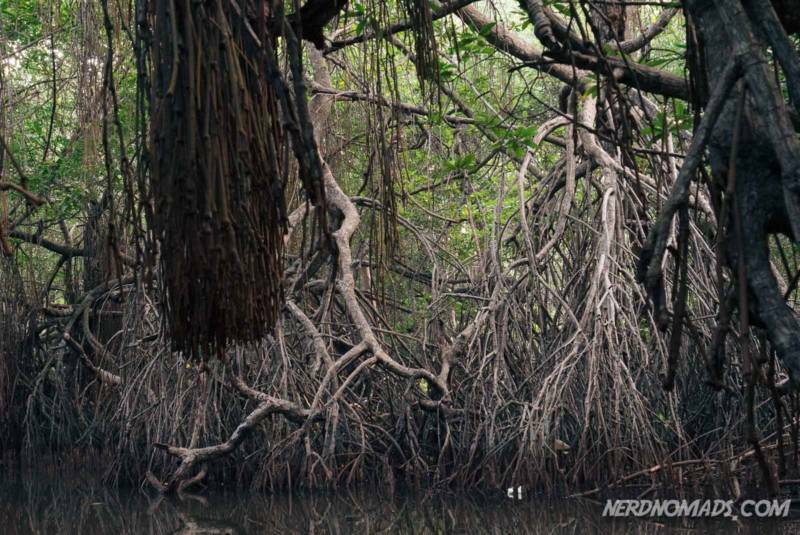 Have a fantastic trip to Sri Lanka! Hope your 12-year old daughter get to do some great and fun snorkeling and see lots of colorful fishes! How to get there: Car/ taxi, tuk-tuk, bus (2 hours drive from Colombo) or train. There are several trains from Colombo Fort train station to Aluthgama train station.